KFC is the most popular Western fast food restaurant in China, and it has been since shortly after they opened their first store. The people in charge of bringing the fried chicken brand to China knew what they were doing from the moment they opened their first store in Qianmen, Beijing. They were the first to hit that specific market, and have been killing it over there ever since. Most people in business can tell you that it’s important to be the first one to hit the market. 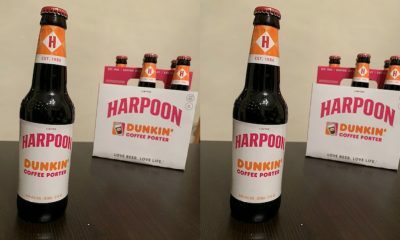 Being the first one there means that by the time your competition hits the market, you’ve already had time to set up a strong brand that consumers will recognize. It also means that you have time to set up with local suppliers and learn the ins and outs of the market before anyone else gets there, meaning when your competition is still learning the market, you already have an idea what you’re doing. KFC clearly knew that China would be a large and profitable market, and being the first Western fast food restaurant to hit that market would be vital. In late 1987, they hit the ground running, by 1988 their first store in Beijing, China, had the highest sales volume of any KFC. 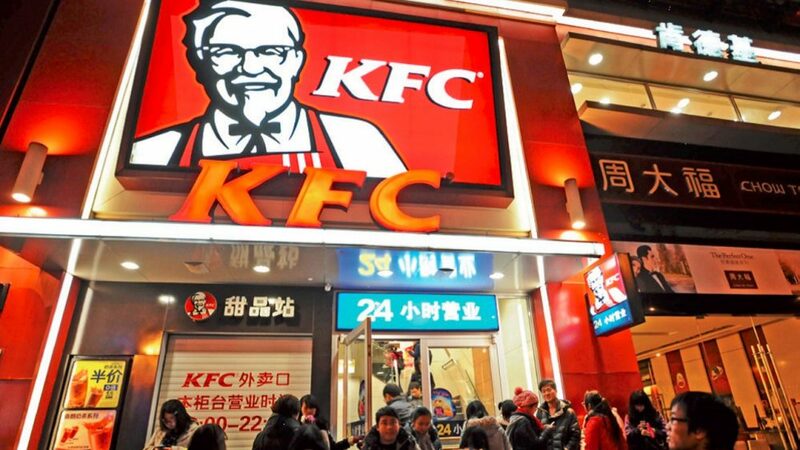 Thousands of Beijing citizens waited in line to eat at the first KFC location in China, the store actually had to call the police in to maintain order as they attempted to serve all of their hungry customers. Since late 1987 when the first KFC opened in Beijing, to now, or rather 2018, they have grown to over 5000 running locations. 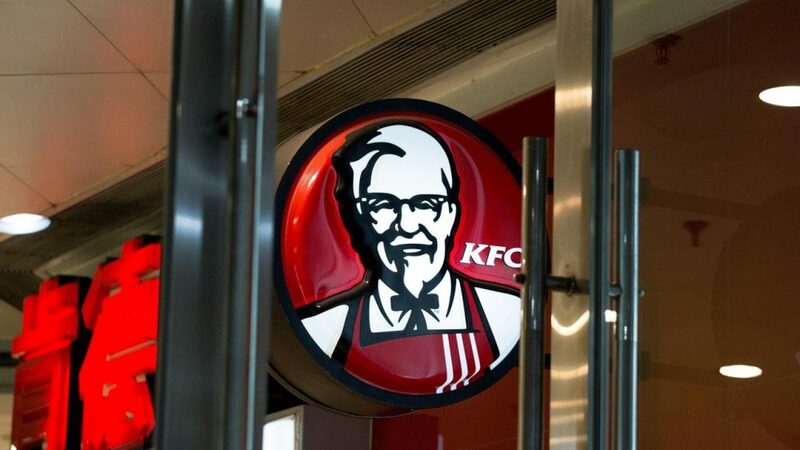 KFC has proven year after year that they plan on staying a staple in China, and they have the sales numbers to show the large demand for their food. Back when they first opened, KFC was a luxury style restaurant, unlike fast food places in North America that are seen as quick and cheap, KFC in China started as a premium brand, offering quality and cleanliness that local citizens weren’t used to. On top of that, they also strategically opened their first location in a very tourist heavy location, meaning that while they attempted to attract locals and build a reputation, they were able to gain the business of tourists who probably already knew of KFC. 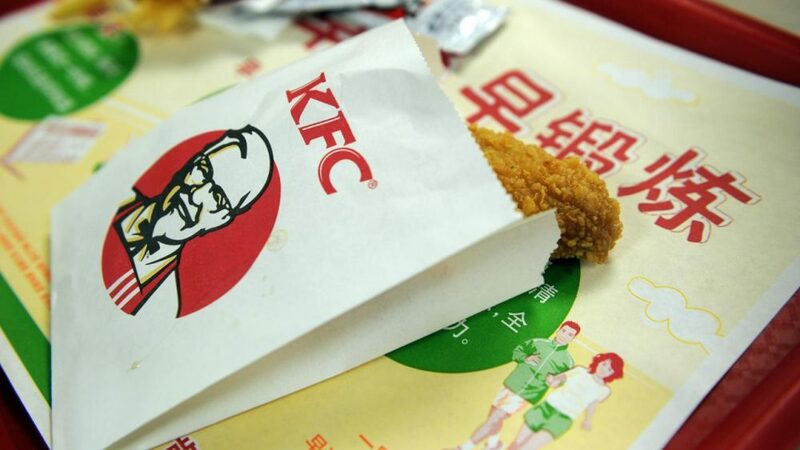 The fact that KFC was able to get to the market first and bring the novelty of Western food to China is one of the reasons that they would prove to be very popular amongst Chinese residents. Chinese citizens tend to prefer chicken over any other meat such as beef, which gave KFC a second advantage on top of being the first to hit the market. Fried chicken was already a recognizable food in China before KFC had even entered the market, where as foods such as hamburgers were mostly unknown to Chinese citizens. 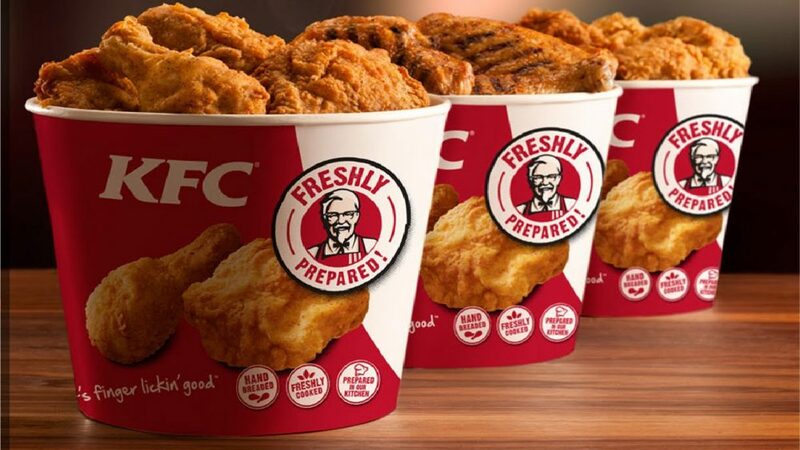 This gave KFC a huge advantage when entering the market and being faced with competition from other Western chains, it meant they had to put less focus on gaining a consumer base when they came to China, as there already was a consumer base for fried chicken. 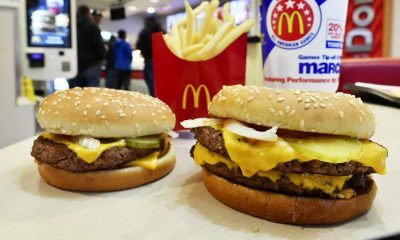 Places that served other foods, such as hamburgers, would not only have to attempt to build their brand and some customer loyalty, they would also need to deal with introducing a whole new and different food to China. KFC was able to avoid that part of entering the market, as chicken was already a staple amongst consumers in China. 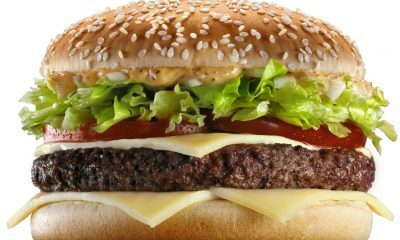 KFC was able to start serving customers right away, and their customers knew exactly what to expect when eating at a KFC restaurant, there was no learning what it was they were ordering like there may have been with other large chains who attempted to enter the market. Though it was definitely not in the plans when KFC first opened as a chicken-based restaurant, their specialty of chicken would prove to benefit them greatly as they entered the Chinese market. As KFC continued to grow in China, they realized that if they were going to continue to thrive, they would need to adapt to local tastes. Their first few restaurant locations kept true to the classic KFC menu and tastes, but they saw the demand in the market for a more localized taste to the KFC classics. So, they added local items to their menu such as egg tarts, congee and specialty items such as their “Dragon Twister”. 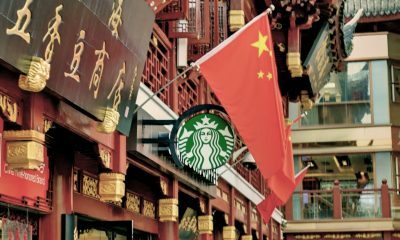 Their ability to adapt to the changing market in China meant that they were listening to what the market was demanding and they were willing to change things that were maybe not working the way they should. 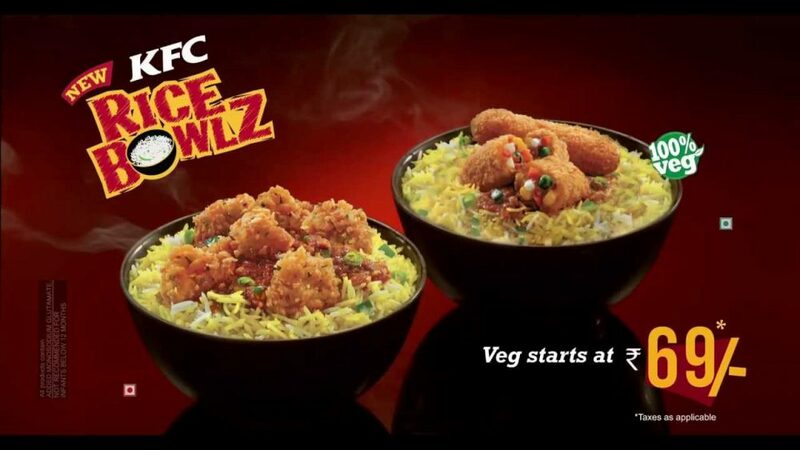 Adapting to local flavours meant that while they kept many distinctly KFC menu items, they also added items that would appeal to the Chinese specific market, and at the same time creating menu items that would be a mixture of both classic KFC and Chinese specific tastes. They were in tune with their consumer base, and changed things as the economy grew and the wants of their customers changed. KFC was able to see the gap that needed to be filled in their Chinese market, and they had no problems adapting to fill it while still staying true to their business model of friendly customer service and quality food. Instead of bringing in managers from elsewhere, they decided to train and implement store managers that were local, this helped the company to understand the local culture, and also helped them know where to open up to markets outside of the large cities. They had local knowledge on their side, which meant they didn’t have to attempt to figure it all out on their own. On top of that, having the local managers meant that they spoke the same dialect of Mandarin as their customer base, making the environment of these KFCs more welcoming to their consumers. Hiring their management and staff from the area where they opened a restaurant meant that they also supported the local economies, providing job openings for people who lived in that specific town, or near it, to fill. Other companies that tried to follow in KFC’s footsteps recruited employees from North America or other parts of Asia, and they didn’t provide the same local feel that KFC’s employees were able to provide. It might not seem like it would be that important to hire locally to most people, but KFC knew better and they took advantage of this knowledge. Local employees would prove to be a huge asset to the company, and to this day they still continue doing their best to continue to hire locally. This would prove to be an important part of KFC’s success in China. 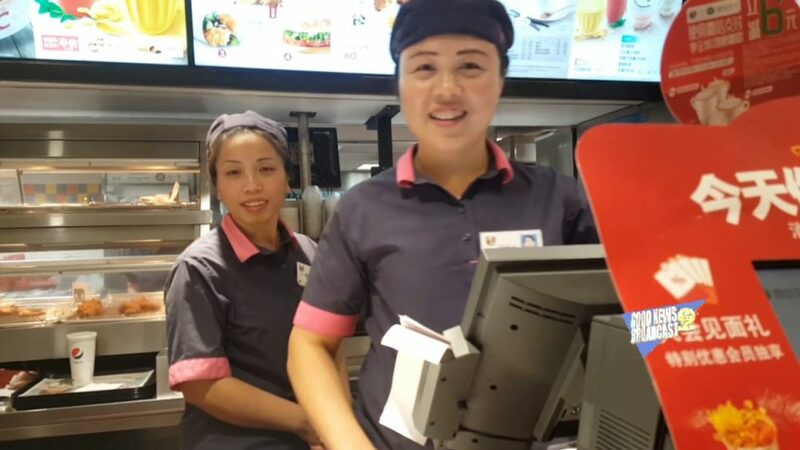 They set standards for not only their customer service, but also their suppliers and store cleanliness, which Chinese citizens weren’t used to back when the first KFC was opened. 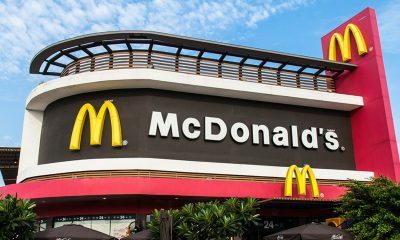 The fast food restaurant was a novelty at first, bringing a piece of Western culture to China, and providing them with an experience that most Chinese citizens had never had. KFC kept their locations clean, and had great customer service, something that wasn’t common in China anywhere. The positive experience that was provided to KFC’s consumers was one of the major reasons that they kept coming back. Their food standards were higher than most places in China, meaning that people could eat at KFC and feel good about it. People in China knew that when you went to KFC, you were getting a great quality of food, you were getting it quickly, and more than likely it was being served with a smile. China had been known for scandals that had to do with quality of food and products that were being sold to consumers, so the assurance that KFC only served quality food was a luxury that many Chinese citizens were willing to go out of their way for, even when the average Chinese citizen’s income was much lower than it is today. These set standards made KFC stand out from the crowd, and even put them above competing Western restaurants that also came to China. KFC decided to expand in smaller cities and towns, rather than just focus on the large metropolises like their competitors did, meaning that KFC was available to a wider consumer base. Making themselves available to more people meant that not only would they build a whole different loyalty base than many of their competitors, but there was a whole new demographic of people that would spread the word of how much they enjoyed KFC. Most large chains love to focus on mainly large cities, leaving citizens of smaller locations with the option of either not having the product, or having to travel what can sometimes be a long distance in order to experience their product. KFC knew that bringing in locations to smaller towns and cities would expand their user base beyond just those who live in or visit the large cities. Smaller cities almost never get chain stores, food or otherwise, and if they do it’s usually after the larger cities have had them for quite some time, KFC wanted to change that with their business model. Smaller cities and towns would prove to be a major market for KFC in China, one that was and still is often overlooked by its competitors, both local and foreign. KFC in China realized they could capitalize on other meals during the day, thus began the introduction of KFC’s breakfast menu. It didn’t just stop at breakfast though, with the KFC’s in China offering an array of foods for any meal of the day. For the most part in North America, KFC doesn’t really have any breakfast options, they’re basically an evening time meal place due to most of their menu being composed of chicken with a few various sides. In China they have the option of meals such as congee, which is a popular Chinese rice-based breakfast food, and a breakfast ham sandwich with a sesame seed covered flat bread. Serving breakfast, lunch and dinner means that KFC in China could see consumers coming in more than once a day to eat, making it just that much more convenient for those who frequent the restaurant. Not limiting themselves to just a once a day visit meant that KFC in China opened themselves up for more return visits than those restaurants who only really offered food appropriate for one meal a day, which would help KFC become as popular in China as it is today. In China, QR codes are very popular. KFC restaurants there offer customers the chance to scan a QR code, order their meal and pay all on their phone, making it even quicker and more convenient to go to KFC. On top of that, they rolled out things such as using facial recognition to suggest orders for people. That’s right, facial recognition. 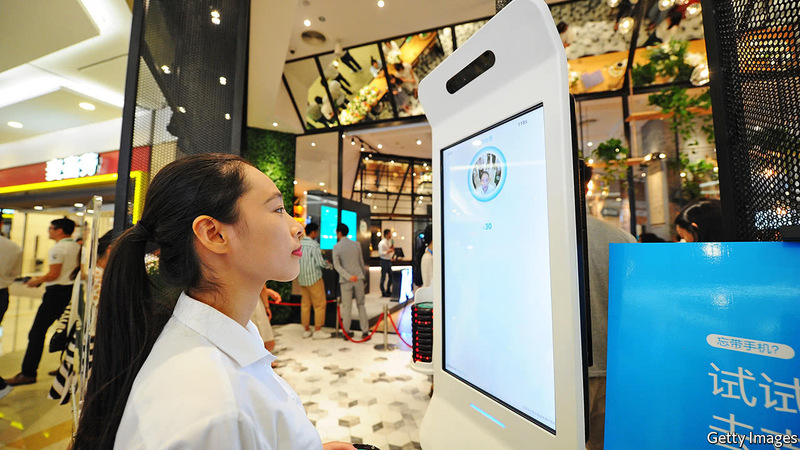 A newer feature of KFC’s in China has customers standing in front of what is essentially a large TV screen, the AI then scans the persons face and estimates their age and mood, making meal suggestions based on these estimates. KFC in China didn’t just limit themselves to simple marketing to keep their consumer base engaged. Ontop of the technological ways that they’ve added to order, they’ve kept on top of the trends with their consumer base by releasing their own phone. 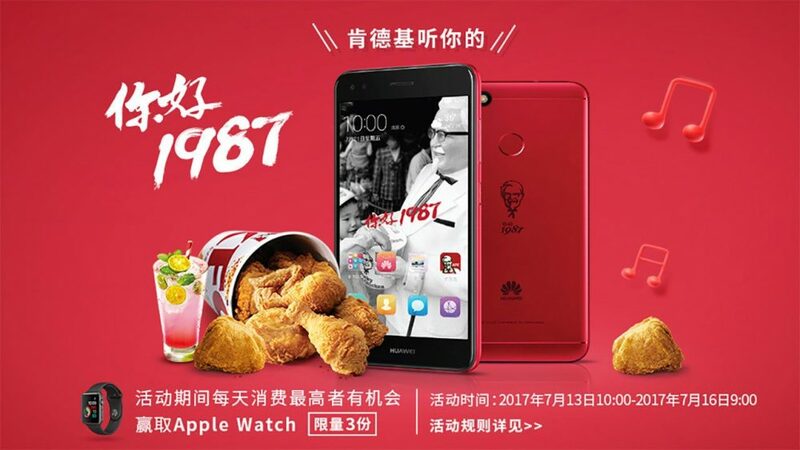 The fast-food chain partnered with popular phone maker Huawei to come up with a limited-edition phone commemorating the 30 years that KFC has been operating in China. Most would think that a smart phone from KFC wouldn’t be the most popular thing, but in China, their younger consumer base loved it just as KFC predicted they would. KFC has continued to keep itself relevant in China by knowing that it’s younger consumer base would like and not being afraid to pursue it. 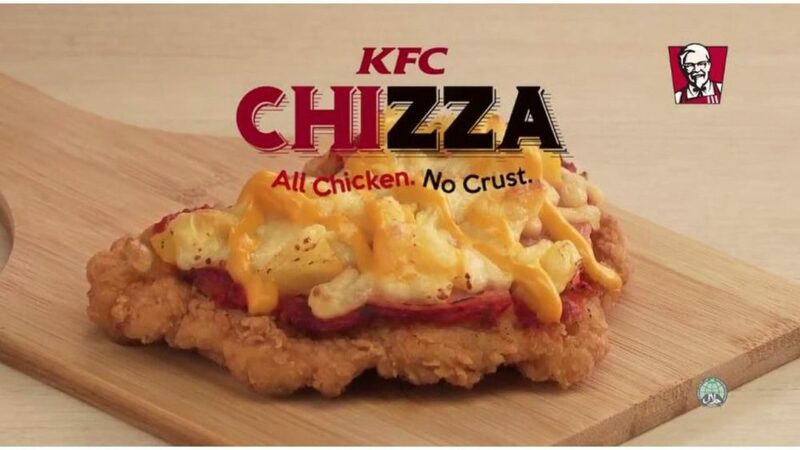 Aside from smart phones and AI enabled order predicting, KFC in China has released some odd things that their consumers seem to enjoy. On the less-weird scale of things, they once had a shrimp burger available to their Chinese market, which is a bit odd, but definitely not completely off the charts strange. Red bean pie might be an odd menu item for many consumers outside of China, it is literally what the name suggests, red beans wrapped in pie crust, red beans are a popular dessert item with citizens of China. Probably one of the oddest things to come out of KFC’s in China is the Rose Cheese Roasted Chicken Burger. It might not seem too odd when you read the name, maybe a bit different than anything most are used to when it comes to flavour, but the weirdest part is the bright pink bun that it was served on. 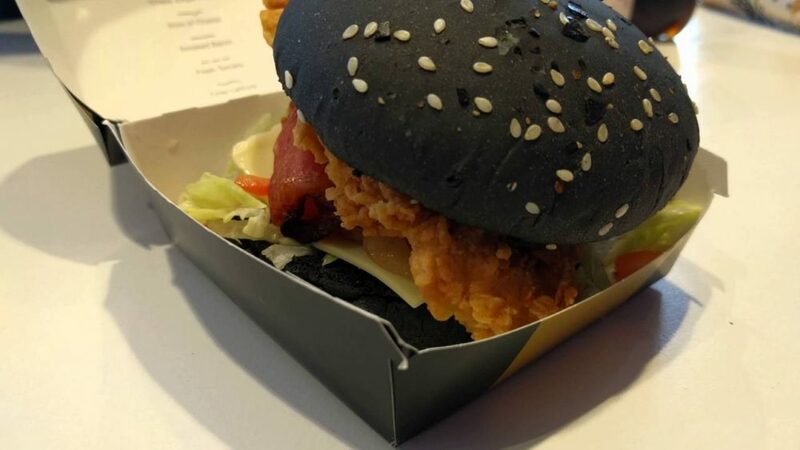 That’s not all for odd coloured burger buns coming out of China’s KFCs, the Black Diamond Bacon Spicy Chicken Burger is basically the opposite of the bright pink burger. As you probably guessed, this burger comes on a dark black bun, and the spicy taste is a contrast to the rose flavour of the pink chicken burger. These are just a few examples of the many things that KFC in China has done to attract and keep the attention of their customers. Needless to say, KFC seems to have some wacky ideas when it comes to attracting attention from its Chinese market. 1. 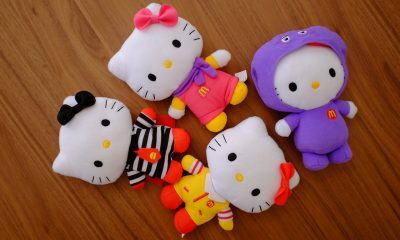 They collaborate with Chinese celebrities. 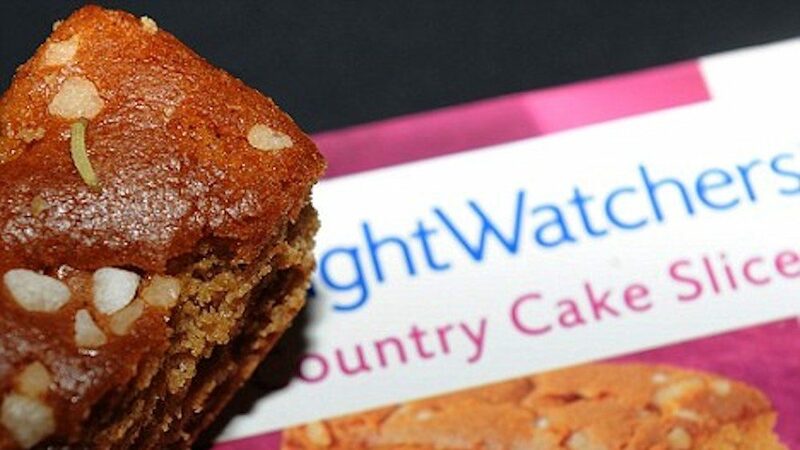 Most people quite enjoy seeing their favourite celebrity advertising a product, and if it wasn’t a proven method, then companies wouldn’t continue to do it. 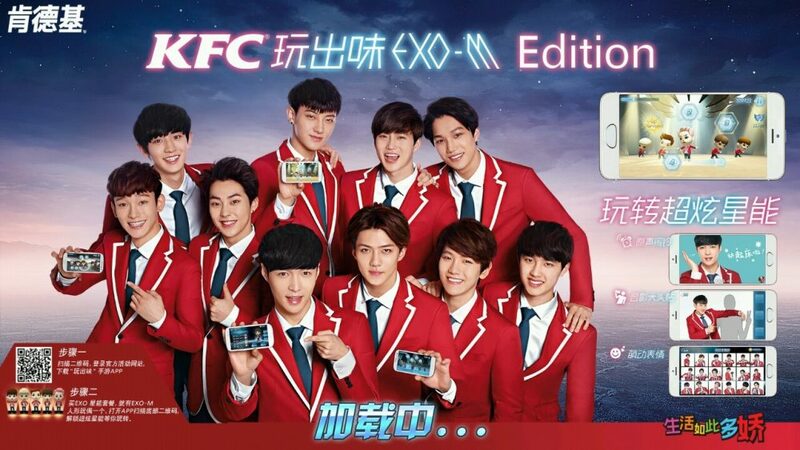 KFC in China is no different, having teamed up with a popular boy band among other celebrities local to the Chinese market. KFC recognized who was popular with their demographic and they weren’t afraid to dive in and team up with those celebrities to help promote their food. 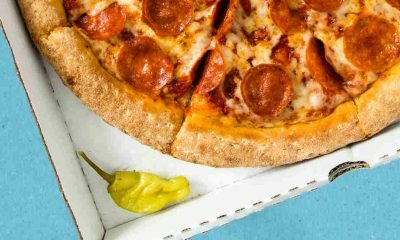 They also put a sort of new spin on celebrity endorsements, instead of just having the celebrity showing off their food in an ad campaign, they also had the celebrities involved their followers on their social media platforms. This brings a whole other level to the celebrity endorsement of KFC’s food, meaning that fans have a chance to interact with their favourite celebrity instead of just seeing their face plastered on various ad campaigns. 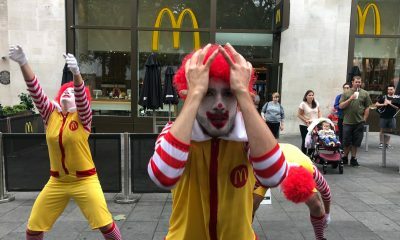 Having the celebrities get involved in the ad campaign on their social media and interact with their fans also has another advantage, it shows that the celebrity is genuinely invested in the message they are sending, which is a better way to advertise than just having them pose for some pictures, which shows no real investment in the product beyond a couple hours standing in front of a camera.